What I didn't mention the other day, in my post about what's what with the revised Theorems & Thaumaturgy, is the plan for illustrating it. I've decided to go a bit more extravagant than usual with space for art. I mean, not like DCC levels, but more than what I've done in the past. There's space for over 50 illustrations in the layout, so it should be pretty nice looking. Feast thy sensory apparatus on this A5-format wonderment! This little random table popped into my mind upon awakening this morning. It will be featured in a future issue of Wormskin. What occurs during a night spent in the inn's common room? In January, I briefly mentioned that I've been working on a revised edition of Theorems & Thaumaturgy. It's been a stop and start effort, in between working on Wormskin / Dolmenwood stuff, other writing projects (e.g. the B/X Warrior), and real life. But: today, I reached a very big milestone. The layout is done! I still have a couple of small formatting issues to figure out (like how I want tables to look), but all of the text is finished and all of the spreads are laid out. 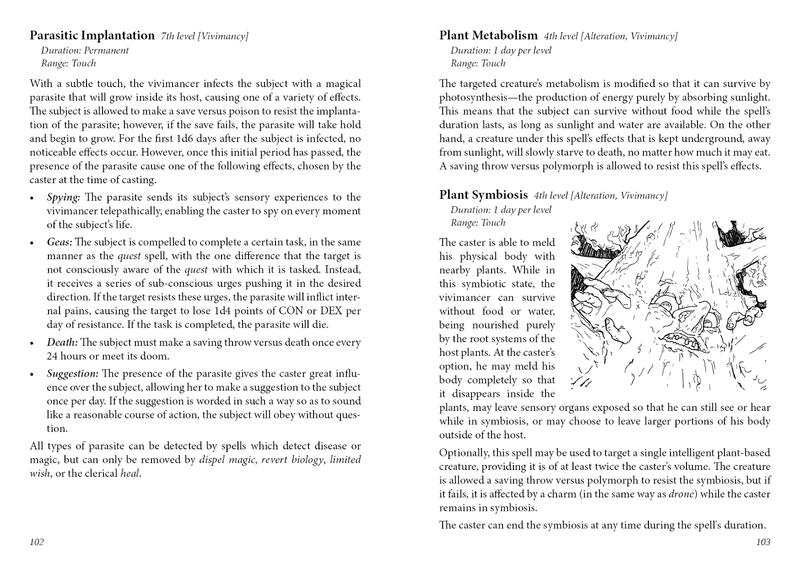 It comes to a total of 135 pages (A5), including the OGL and table of contents. I'm very pleased with how it's looking. I'm now discussing illustration, so far with Cadanse, who did a lot of the illustrations in the original edition, and also with another artist. 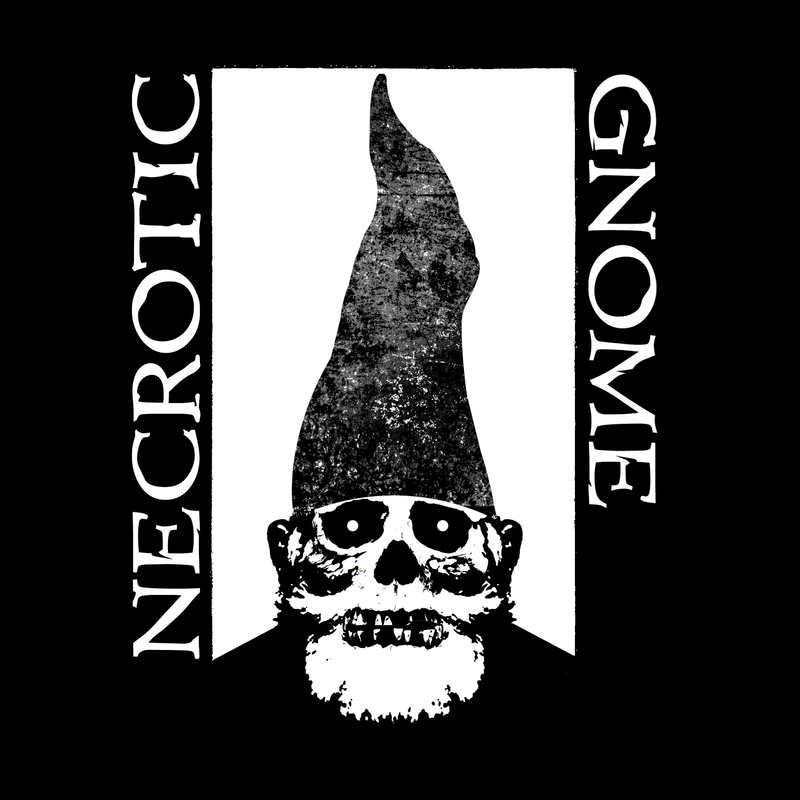 Expanded introductory material, including suggested rules for spell acquisition (in Basic and Advanced style games) and guidelines for the existence of specialist wizards in a campaign alongside standard magic-users. Three full classes: the elementalist, necromancer, and vivimancer. The text has been revised and clarified, where necessary. The elementalist spell list has been expanded (it looks like there are 8 new spells, on a quick scan) and updated to correspond with the list from the (eternally) work-in-progress Complete Elementalist. As an example of the latter, the spells summon elementine and banish elementine are now combined. The necromancer spell list is largely unchanged. I moved a couple of spells (detach/graft and organ transference) to the vivimancer, as they felt more fitting there. The vivimancer spell list has been updated to correspond with the list in The Complete Vivimancer. For example, the spell vats of creation is now 3rd level, rather than 7th, as it was in the original Theorems & Thaumaturgy. I don't think I added any new spells. The tomes section has been completely removed. Again, I plan to make this content available in some form, but felt that it's not a necessary and integral part of this book. Likewise, the lists of example memorized spells have been removed. I'll certainly publish these as a little add-on PDF, for those (DMs, I suppose) who want it. 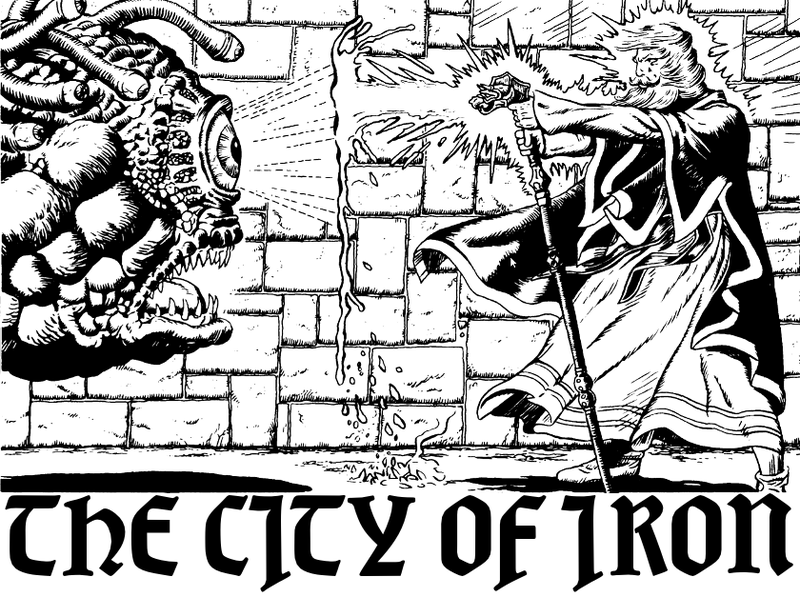 The small appendix with alternative rules for magic use is no longer present. 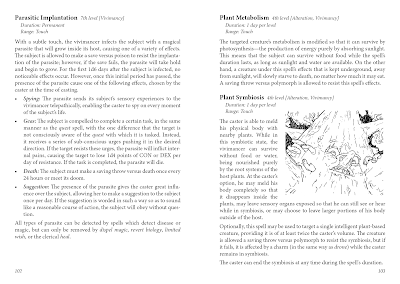 The monsters section has been slightly trimmed to only include the monsters which are directly related to one of the classes (via conjuration/summoning spells). I think this caused about three monsters to be removed. All of the spells are now classified with their school(s). I like spell schools. Even though they're not an explicit part of Labyrinth Lord, their inclusion in the book adds value for DMs who like to use them. So, overall, the new edition is much more focused. The original edition had a kind of grab-bag quality to it, which I came to dislike, over time. I can't place a schedule on when it'll be ready, as I don't know how quickly illustration will work out, but I think it's pretty safe to say it should be published by the autumn. An A5 Theorems & Thaumaturgy. Whatever next.